We hope that you will be able to join us for an interesting and interactive training day (click here to download the programme). We have provisionally planned some time for a case from each hospital. 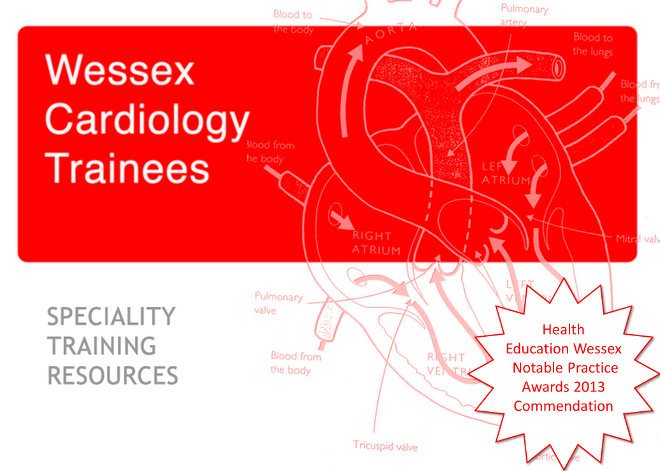 This can take any format you wish, from a discussion of a clinical dilemma to some interesting echo clips that you might like to share, to a powerpoint presentation. The idea is to generate discussion and to learn from the combined experience in the Region. We would like to make it as informal as possible. Please feel free to give me a call to discuss/confirm cases. This is a good opportunity to add a "Regional Network Training Day Presentation" to the CV!! Please email me to confirm your attendance so we can plan a good lunch! Looking forward to seeing you all in Southampton for a lively day.